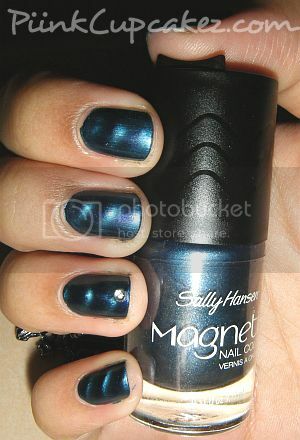 Sally Hansen Magnetic Nail Color. 3-D Nail Art in Seconds! "Revolutionary formula infused with metallic particles that move when exposed to the specially designed magnet to create an extraordinary effect." This nail polish comes in 8 different shades. I haven't used this on my nails yet because I like brighter shades for the Summer but I did my sisters nails and it was so fun to use! It's super quick and easy to get this cool 3D design. While I was holding the magnet over her nails I could actually see it transform in seconds. After seeing how her nails turned out I think I just might paint mine anyway. *Make sure you apply a thick even coat before using the magnet. I noticed that if you don't do this, the design will only happen wherever you've applied it the thickest. One thing I didn't like is how the magnet isn't secured into the top. It has already fallen out a few times which is annoying. At least it didn't happen while I was using it. I'm going to try gluing it on and hope that works. Have you tried magnetic nail polishes? This is cute! 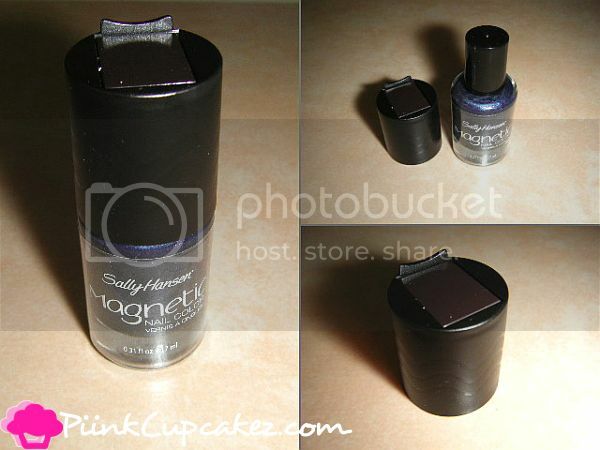 I have the pretty woman magnetix ones but I don't use it bc it's a darker grey.